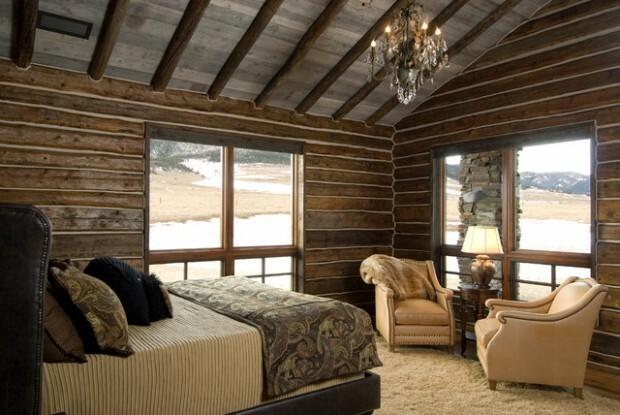 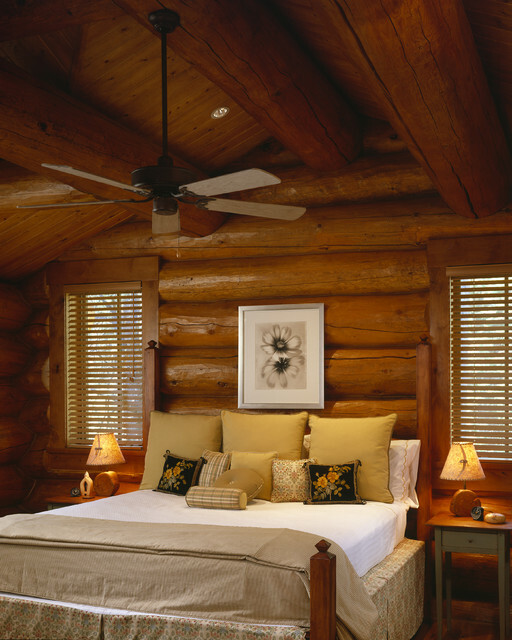 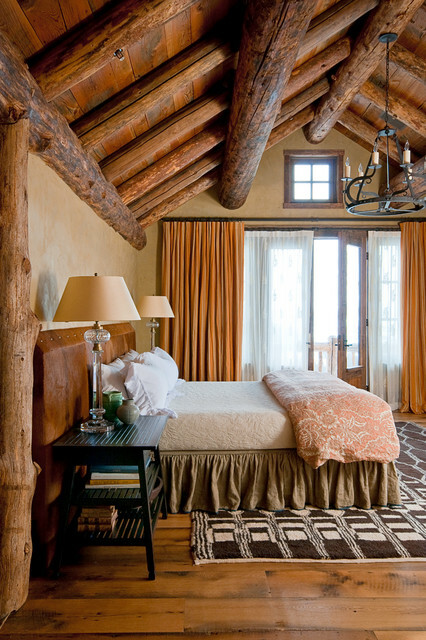 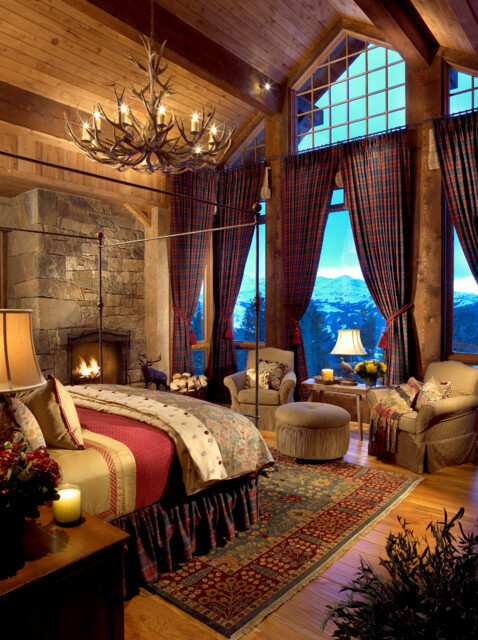 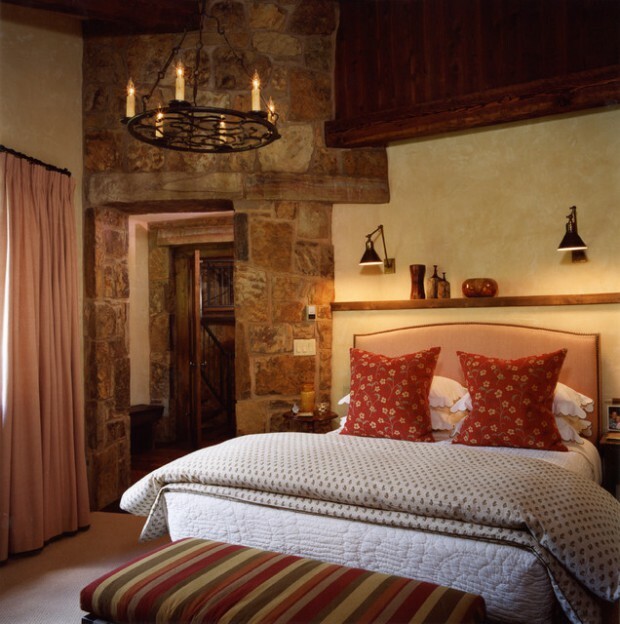 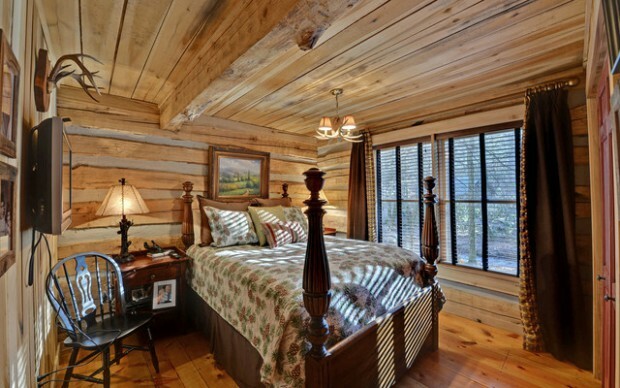 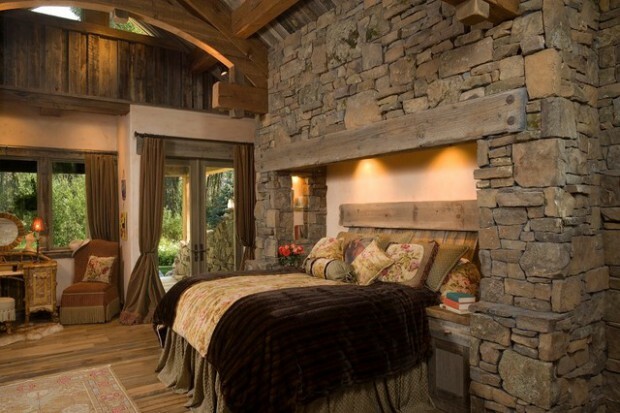 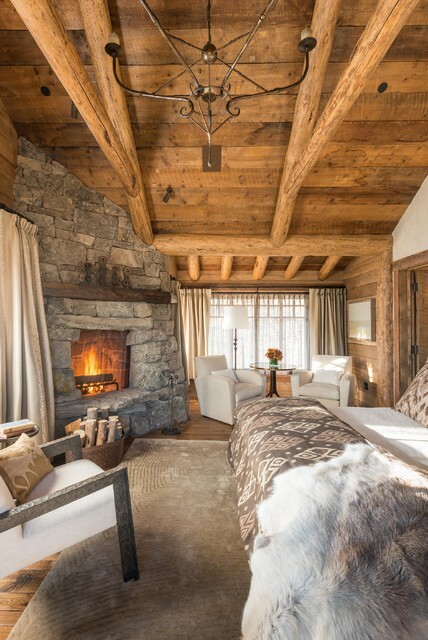 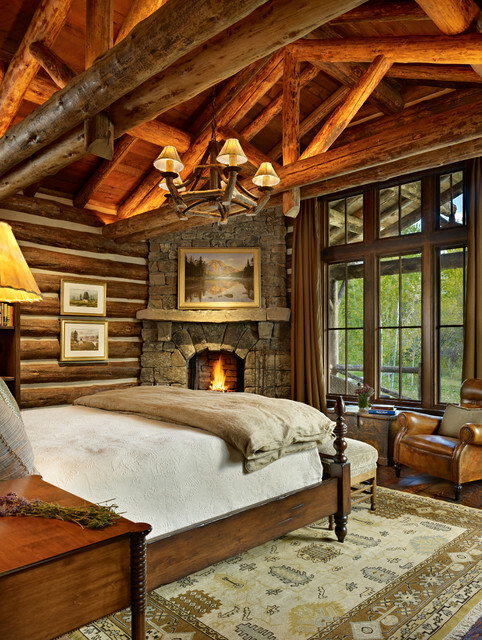 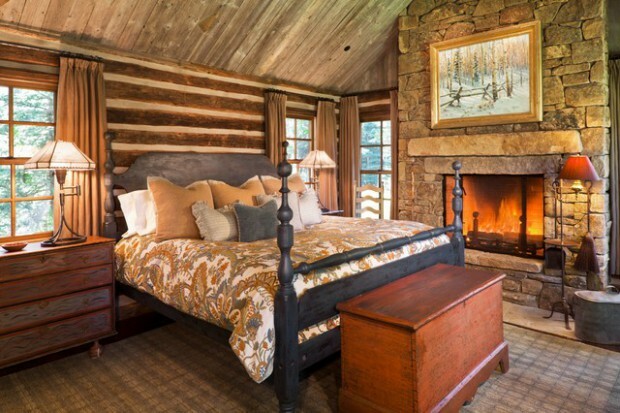 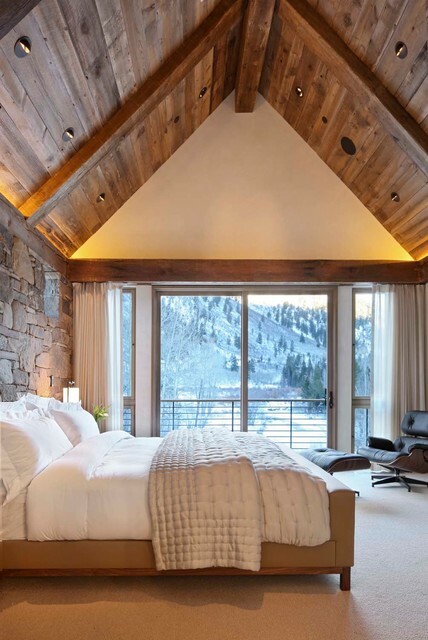 From warm hues to crackling fireplaces, grab a cup of hot chocolate and snuggle up in these lovely bedrooms. 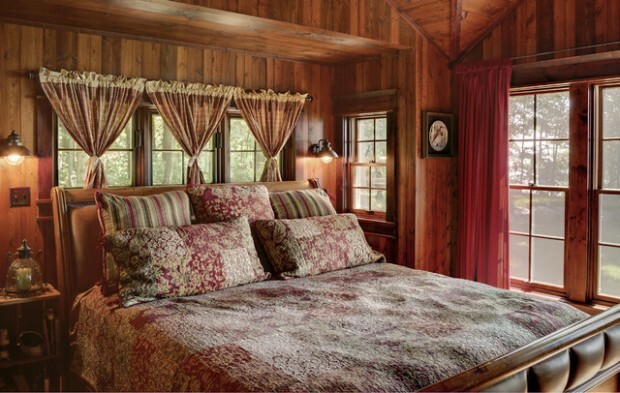 Whether your home is a small country cottage or you just want it to feel like one, enjoy a cozy bedroom retreat when you mix calming brown colors and vintage accessories. 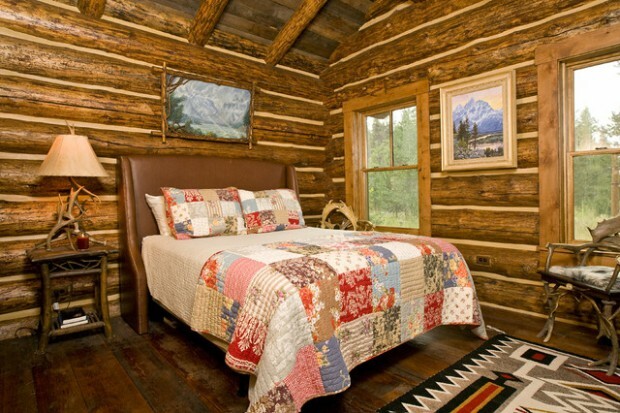 Sometimes the best way to decorate a small cabin is to keep it simple. 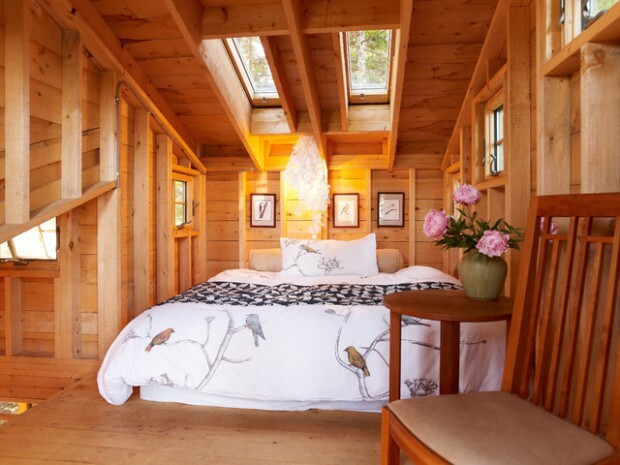 Rather than filling the space with baskets, twigs and heavy wooden furniture, it can be refreshing to go with a light and airy approach. 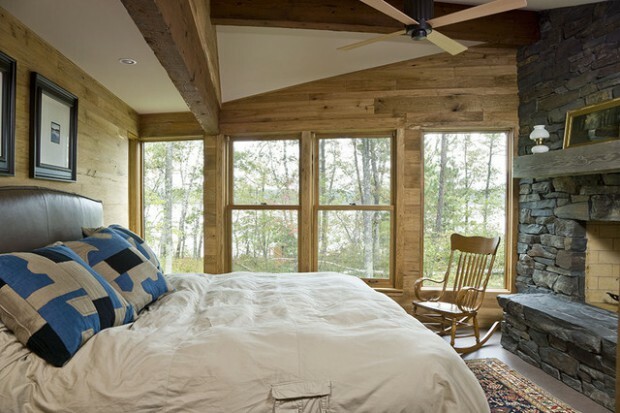 Especially when large windows highlight a stellar view! 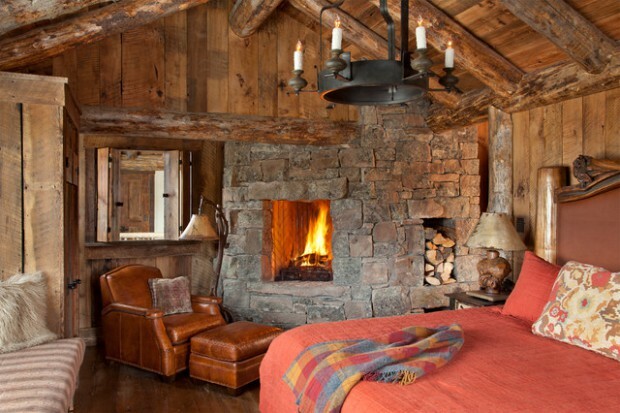 Don’t forget a cozy throw for the bed.